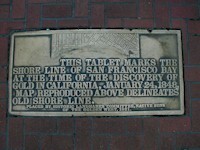 These plaque mark the location of the San Francisco shoreline at the time gold was discovered on January 24, 1848. The plaques are located in the heart of the financial district. 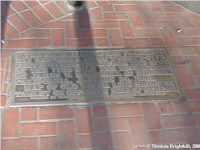 A companion marker plaque is located on the southwest corner of Market and Battery Streets.